NPCs really have nothing else to say. Sad. Brady is friends with Trump. 1. NPCs really have nothing else to say. Sad. 6. Where is this coming from? I am not a Pats fan nor am I a Pats hater. 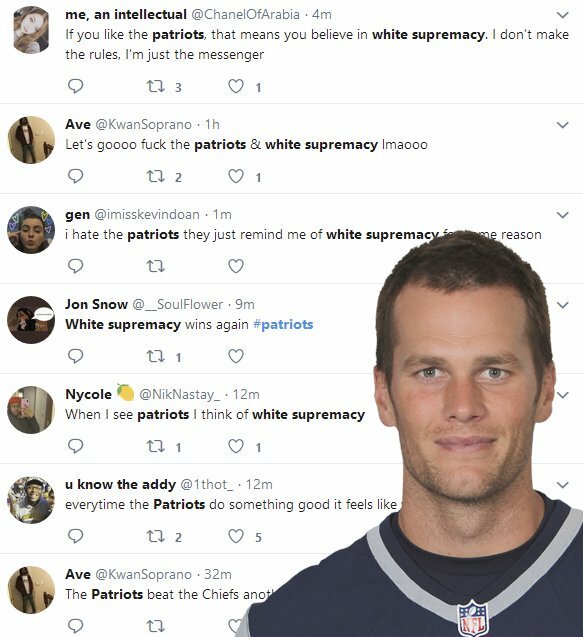 Where is the white supremacy charge coming from? I must have missed something. 7. Brady is friends with Trump.